Excellent service as always from Tanya! Highly recommended for price and service!! Does the job - seems excellent in quality and performance. Tayna customer service also excellent. Item received prompt on time got what I asked for first class service. I bought this leisure battery for my Rolls Royce Corniche as I don't take it out much in the winter and this battery keeps it charge during the winter months. I top it up once a month and it starts on the button every time. It is a bit of a tight fit in the battery box a bungie keeps it safe.it does the job well. Excellent battery, this is the second one I have purchased,very satisfied with both. Very quick delivery by Tanya. Thanks the speedy service and for the refund. Only had this battery a short while,but on recent trip away in our Motorhome it performed perfectly. Would recommend as good value. 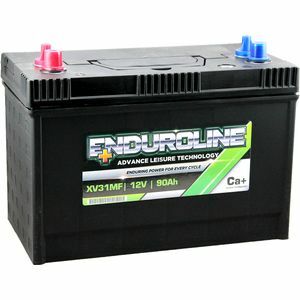 Fitted to a Defender 110 as half of a split charge twin battery set up with an Enduroline C31-1000. Early days, but it seems ideal. Tayna's delivery was impressively quick, as usual!